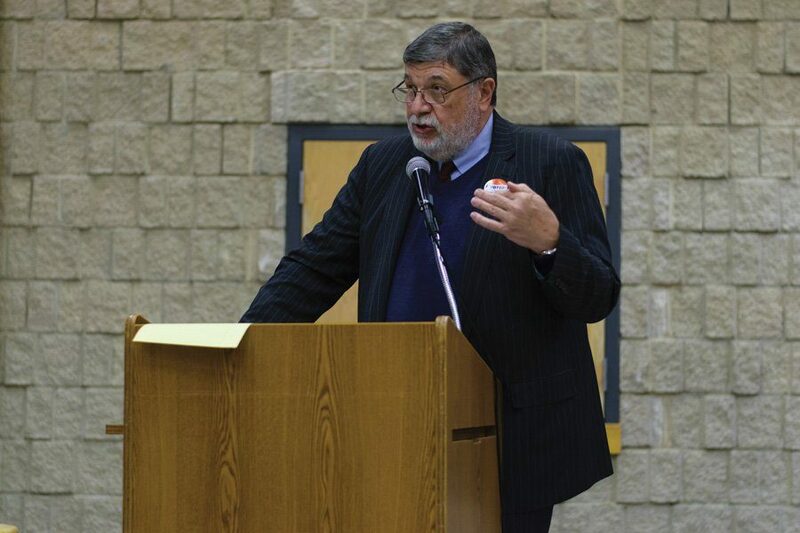 Cook County Commissioner Larry Suffredin, who represents Evanston, speaks at a town hall event last month. Suffredin endorsed businessman Steve Hagerty in Evanston's mayoral race Wednesday. Cook County Commissioner Larry Suffredin endorsed businessman Steve Hagerty in the Evanston mayoral race Wednesday. In an email statement, Suffredin said he was impressed with Hagerty’s background in municipal finance and his plans to fight gun violence in the city. The candidate — who topped the field with roughly 44 percent of the vote in last month’s primary — has also received endorsements from Mayor Elizabeth Tisdahl and former Mayor Lorraine Morton. Suffredin did not endorse any of the five primary candidates, even though his chief of staff Ald. Brian Miller (9th) ran for the position. Miller came in third place with nearly 19 percent of the vote, which was not enough to earn him a spot in the April 4 general election. Miller told The Daily last month that he would not endorse either candidate. According to his website, Hagerty intends to stem gun violence by working with local legislators to pass “common-sense legislation” requiring state licensing of gun dealers. In addition, he said he would be “open to all suggestions” about improving Evanston’s gun buyback program. Hagerty’s other major goals include: expanding economic development to all neighborhoods, strengthening youth development to reduce violence and maintaining diversity through affordable housing. Ald. Mark Tendam (6th), who is running against Hagerty, received multiple endorsements, including one from Rep. Jan Schakowsky (D-Ill.) and another from Equality Illinois, a statewide political action committee advocating for LGBTQ rights.